In the book The End Of Overeating, former FDA Commissioner Dr. David A. Kessler delves deep into the food industry and talks extensively about how the industry has developed, marketed and promoted products to the American people. One of the stories he describes is the one of Roger Smith who was at one time the Vice President for Research and Development at Nabisco. 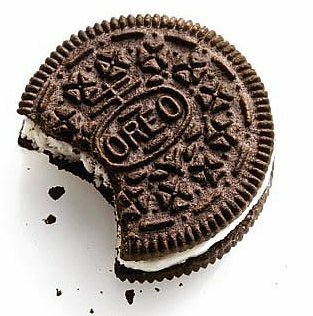 His name is probably not recognizable to most of you, but he is the one behind two of the most iconic cookie brands every developed: Oreos and Chips Ahoy! In the book, Kessler features the story of Robert Smith and describes the key insight that Smith reached while working at Nabisco – that "no single aspect of food – neither one ingredient nor one sensory property – gets us to like something. The key drivers are multisensory." TAs Kessler describes, this insight led to Oreos – a product where "unique bitter taste of the chocolate wafer, combined with the sweetness of the cream filling is what the industry calls "dynamic novelty." Dynamic novelty is all about creating a contrast between two opposing forces. The opposition creates harmony and by having both, you can stand out. When you visit in IKEA store, you can leave your kids at a play area to keep them occupied while you shop for furniture. By putting a day care and play room inside of their furniture store, IKEA created a dynamic novelty – inviting parents to bring their kids along for the boring activity of furniture shopping. This is certainly not the only reason why parents shop there, but it helps make the experience much better. Do you have any dynamic novelties in your small business? If not, where might you create one to help bring more customers in the door to work with you or buy your products? Thinking about this challenge can help you to cater your business to people outside of your target audience who may be influencers that have an impact on whether someone chooses to do business with you or not.